Professional photographs of you taken in stunning locations while on your custom-designed tour. Family vacations, couples, honeymoon, anniversary, engagement, pre wedding, wedding, marriage proposal, social media, portrait and lifestyle photography. Explore great photo locations with a native English speaking guide who is a long-term Kyoto resident. 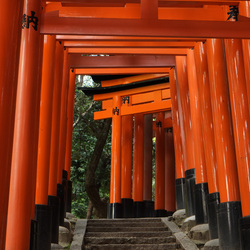 Improve your photography skills while exploring Kyoto. Learn from a pro. After making initial contact via email, you'll have a phone call directly with Paul to personally arrange your photo shoot, photo tour or photo lessons. Unlike other online travel photography services, you'll speak directly to the photographer instead of through an agency. If you interested in private tours of Kyoto without a photography focus, please visit Kyoto Walks. Have a unique experience of Kyoto with professional photographer Paul Crouse, a 22-year resident of the ancient Japanese capital. 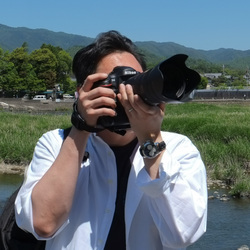 Whether as your personal photographer, photo tour guide, or photography teacher, Paul will show you Kyoto in a lively and enjoyable way from his unique point of view. Paul tailors custom half-day and full-day experiences with a focus on photography and exploring the beauty of this 1,200 year old city. Originally from the U.S., Paul is a native English speaker with more than 30 years experience as a professional photographer. He can give you unique insights into Kyoto, and Japanese culture and history, in a way that only a long-time resident can. 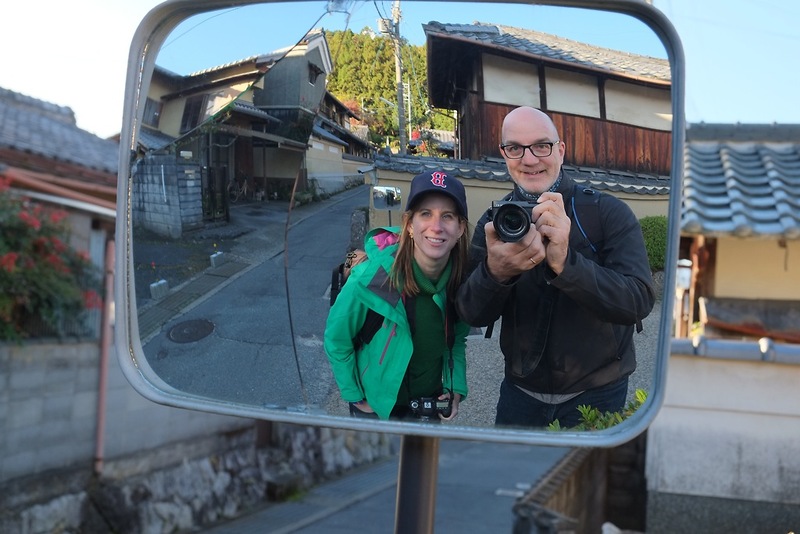 Paul takes a mirror selfie with Joanne from Boston in Ichijoji, Kyoto. 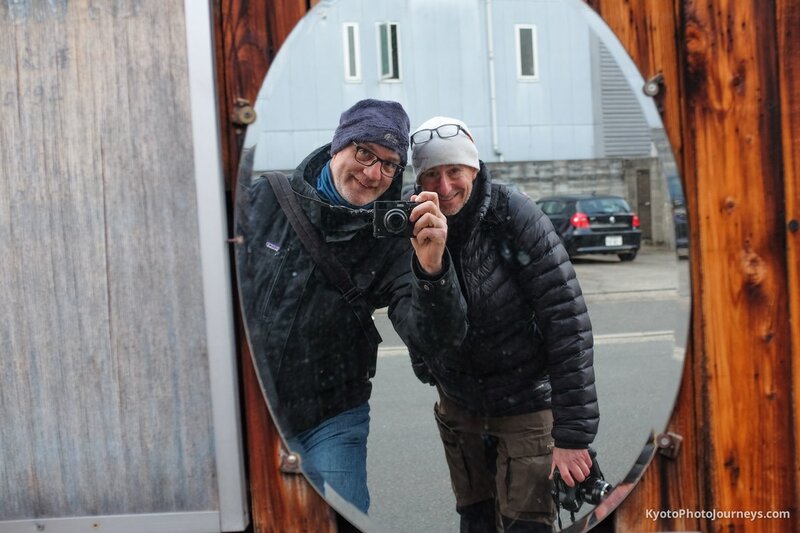 Paul takes a mirror selfie with David from New Jersey while exploring Gion, Kyoto. 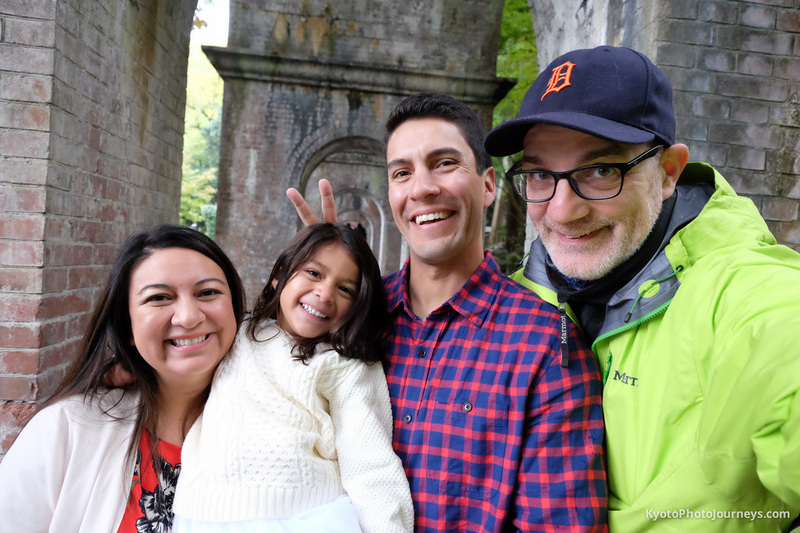 Paul takes a selfie with the Gonzalez Family from San Francisco at Nanzenji Temple in Kyoto. 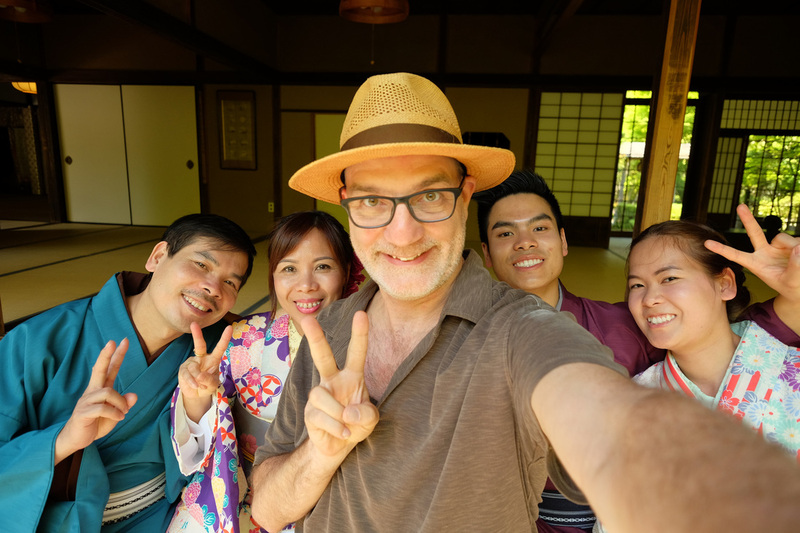 Paul takes a selfie with the Tran family of Berlin, Germany, in Ichijoji, Kyoto. 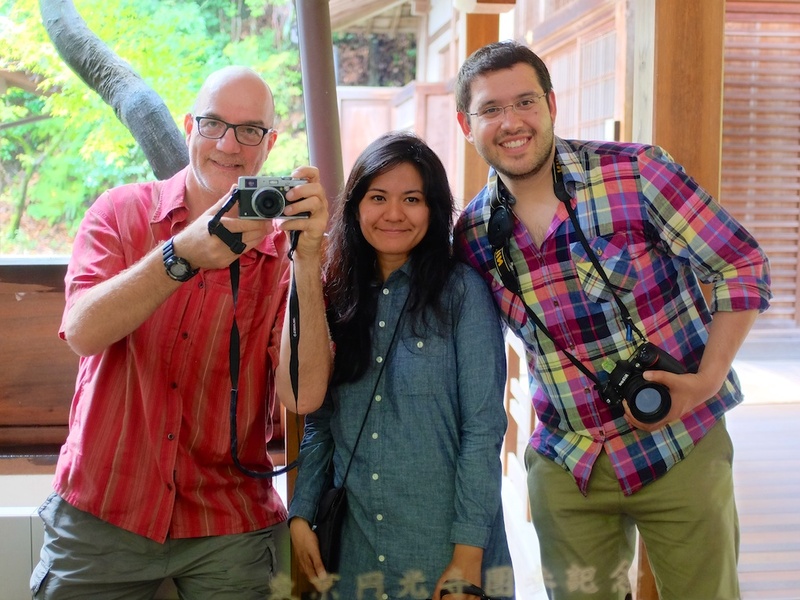 Paul takes a mirror selfie in Gion, Kyoto with newlyweds Armando and Lory from Mexico. 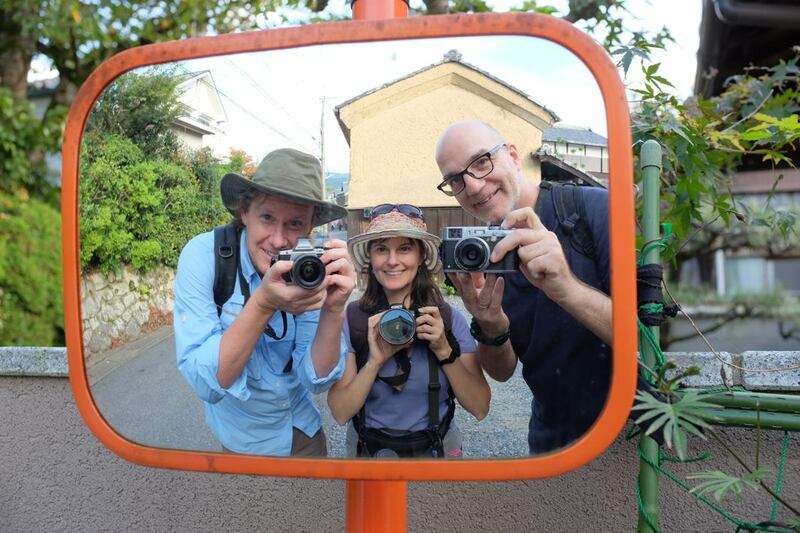 Paul (left) takes a picture into a mirror of Carol and Daniel from Sydney, Australia, at Eikando Temple while on a photo tour in Kyoto. 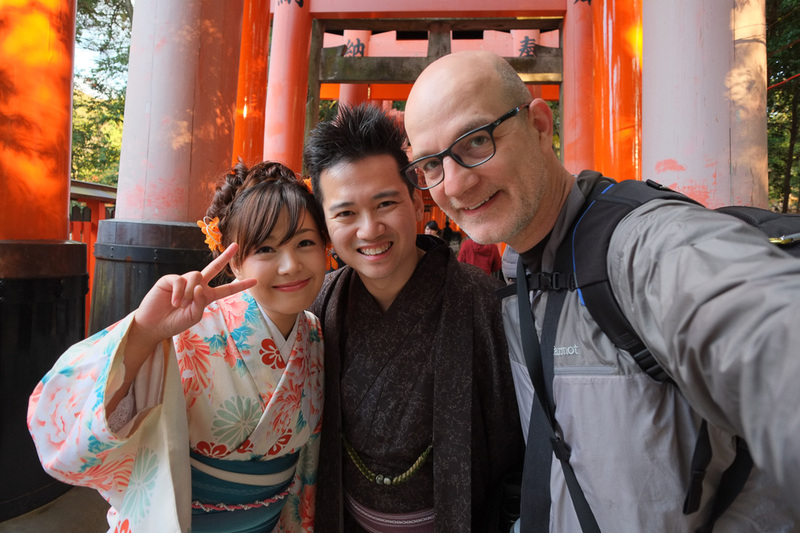 Paul takes a selfie with Diane and Gilbert, from Singapore, at Fushimi Inari Shrine in Kyoto. 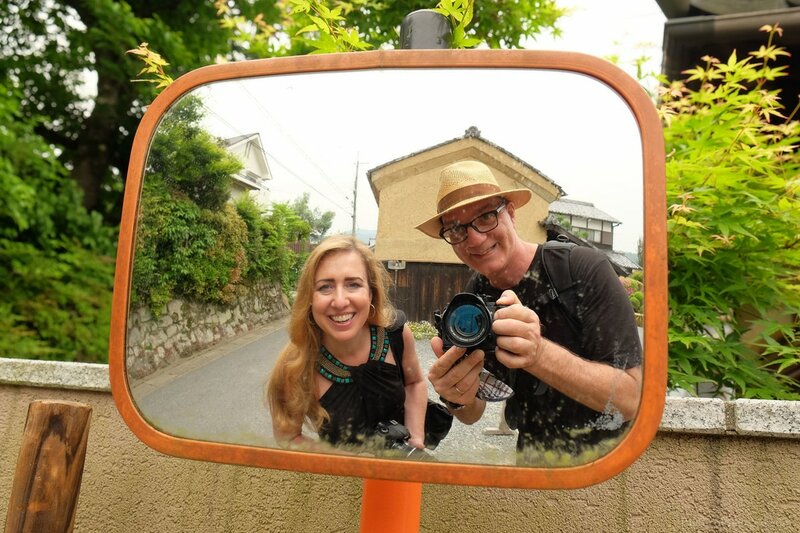 Lara, from New York City, and Paul pose for a photo in a traffic mirror in the Ichijoji neighborhood of Kyoto while on a photo tour. 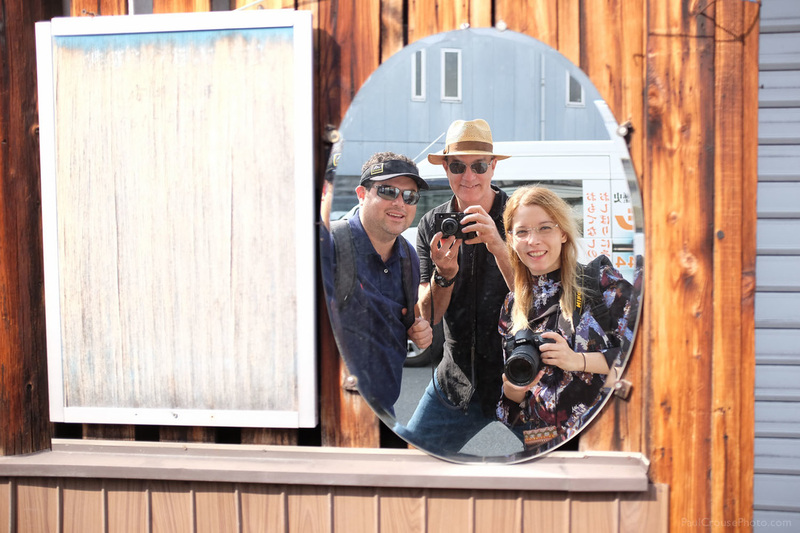 Phil and Julie, from San Diego, take selfies in a traffic mirror with Paul in the Ichijoji neighborhood of Kyoto during a full day photo tour.